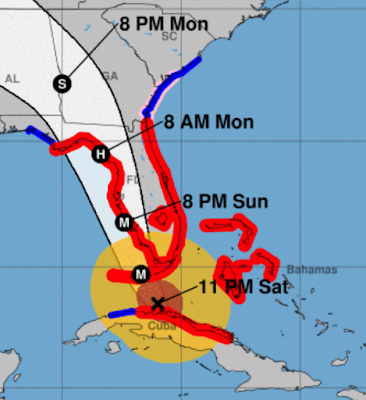 The hurricane stalled for a time and is now creeping to the northwest as this plot of the center indicates. 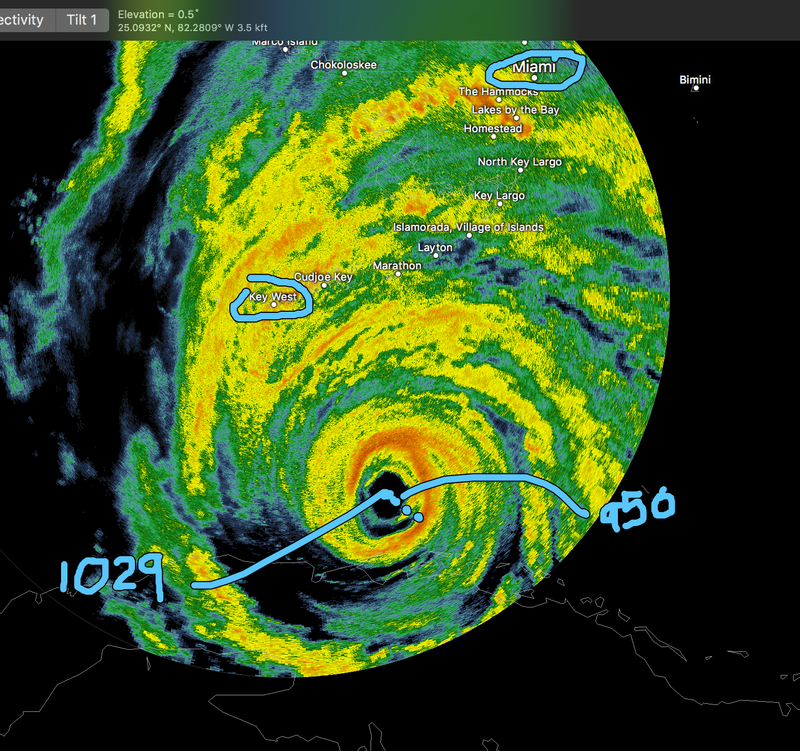 I've circled Miami and Key West. Brown is the diameter of hurricane force winds (sustained winds, as opposed to gusts, of 75 mph or stronger). Orange is the diameter of tropical storm force winds (sustained winds of 39-74 mph). Blue is a tropical storm warning. 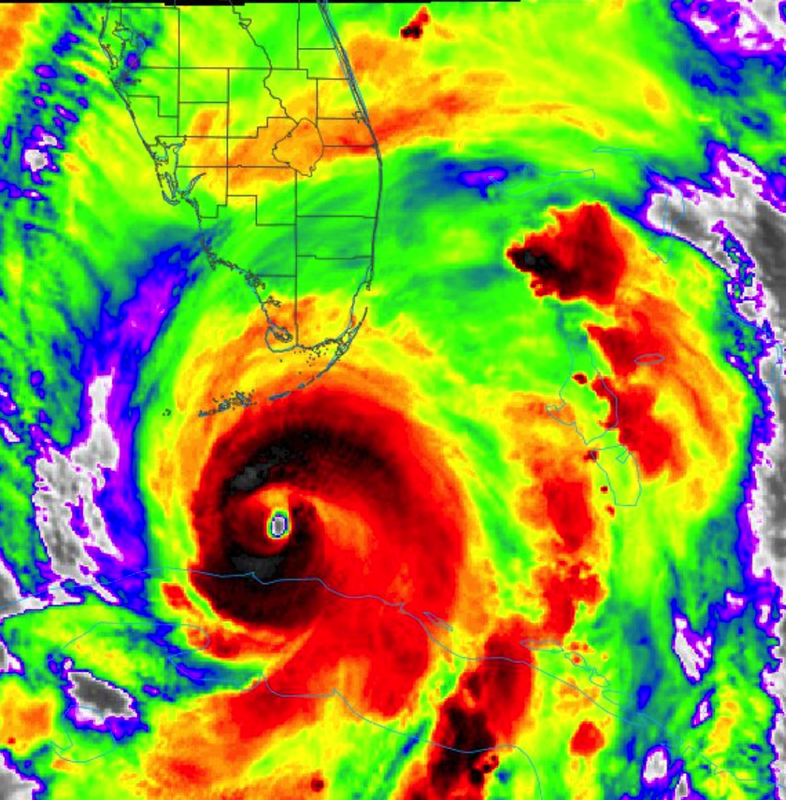 M = "major" hurricane. H = Cat. 1or Cat. 2 force winds (refers to wind speeds only). S is tropical storm force winds. A couple of points I would like readers in Florida to know. The first is that hurricanes strengthen in winds that are more or less that same direction and speed from the ground, up. That has been the case since Irma became a hurricane. Looks like that is going to change in about 24 hours. I agree with the Hurricane Center reducing the forecast speed on Monday. I do believe there will be some strengthening Sunday from maximum the 120 mph winds currently. Not everyone will be affected by the maximum winds. There is a serious threat of flooding. 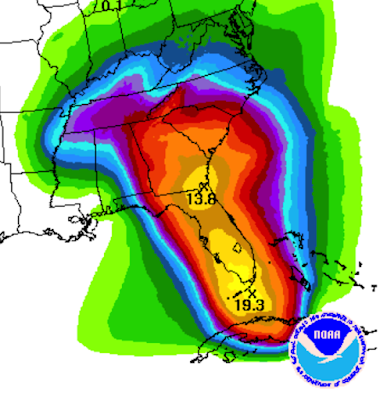 Rainfall amount forecast is below. 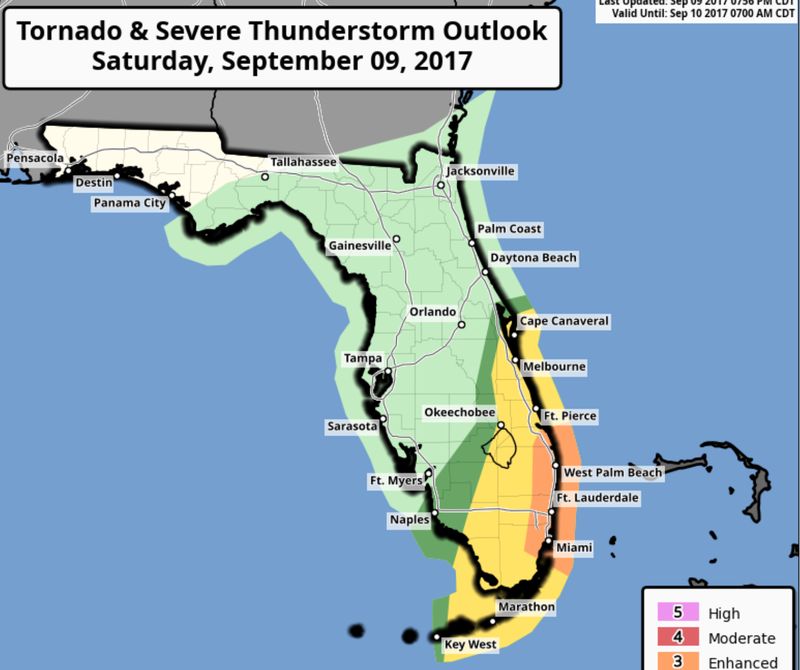 There is a risk of tornadoes and thunderstorms with wind gusts above 60 mph overnight. 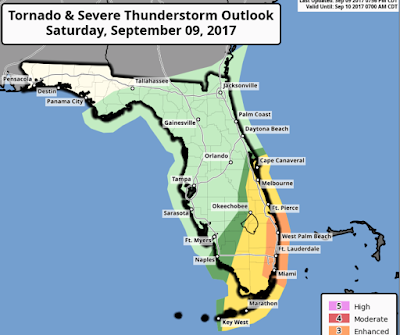 The worst risk of tornadoes is along Florida's southeast coast from Ft. Pierce to Homestead.